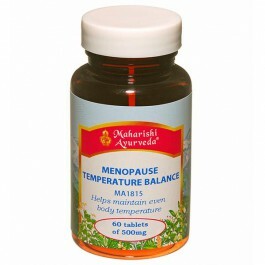 For a comfortable menopause with stable emotions, circulation and temperature balance. 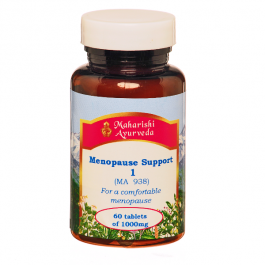 Menopause Support 2 is used to support the action of Menopause Support 1. Menopause Support 2 is particularly useful for balancing Pitta related factors such as temperature balance and blood flow. Menopause Support 2 helps stabilise emotions, support circulation and moisture balance in the body. It helps to keep the channels in the body open so that temperature balance is easily maintained. Use it in conjunction with Menopause Support 1 during the time leading up to menopause (perimenopause). The herbs in both the Menopause Support formulas are combined in precise proportions and prepared in the traditional ayurvedic way. This improves the bioavailability of vital nutrients. It also creates synergy — the collective benefit is much greater than that of isolated, individual herbs. Myrrh and Silk Cotton Tree help nourish the uterus. Mango Kernel, Silk Cotton Tree and Myrrh help balance and regulate uterine blood flow. Amla helps nourish all the tissues and enhances the bioavailability and absorption of calcium. 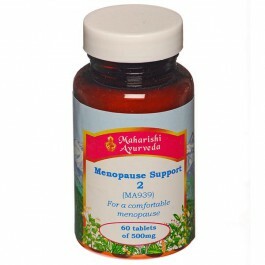 Menopause Support 2 is used to support Menopause Support 1 if the latter has not been enough. 60 tablets - 30g, 15-30 days supply. Take 1-2 tablets twice daily with water. Reduce to 1 tablet per day after 3 months. 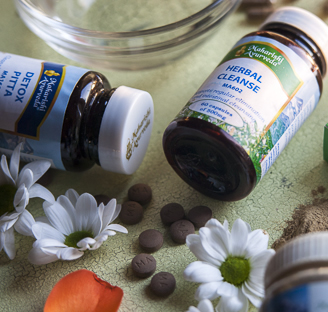 Make sure digestion and elimination are good. Maintain a regular routine. Daily warm oil massage is recommended. Eat fresh fruits especially strawberries and apples; and freshly cooked warm food. May cause a little constipation - if so take 1 tablet of Herbal Cleanse at bedtime.